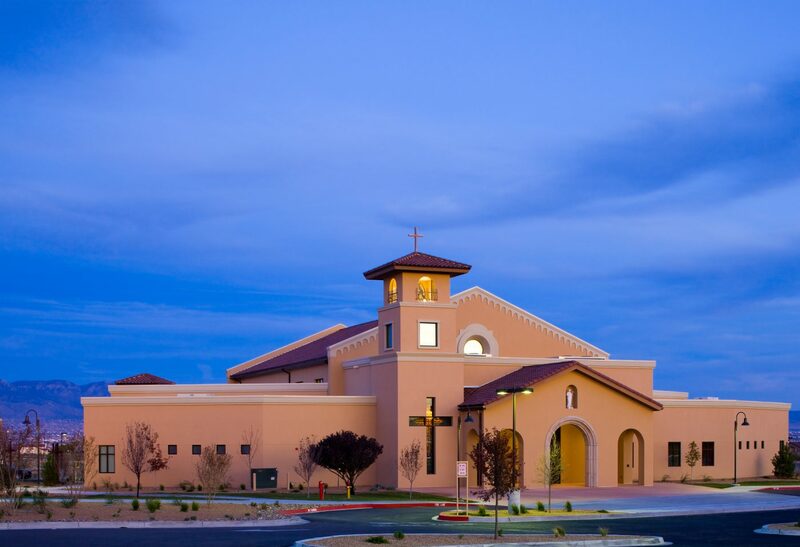 St. Jude Thaddeus Catholic Church has been a beacon in far north Albuquerque since the early 1960s. The congregation had outgrown the original church and needed a larger better-equipped space. 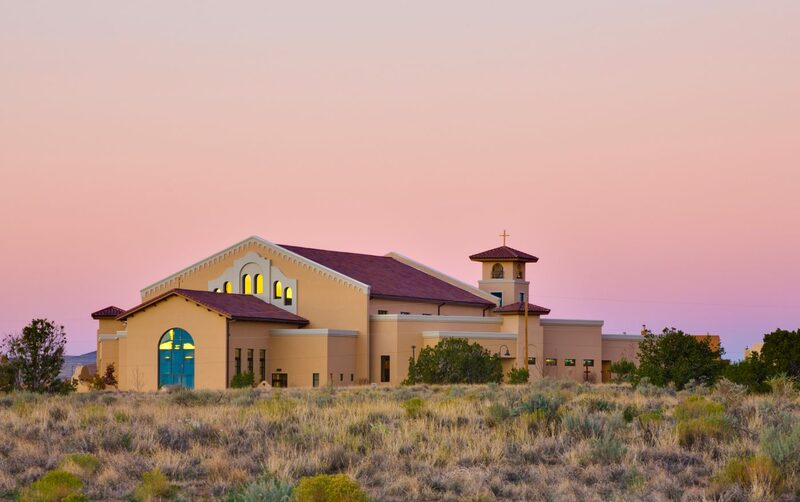 The charge from the Parish was simple: design a church to seat 1,200 with a clear aesthetic nod to old mission churches of the Southwest. 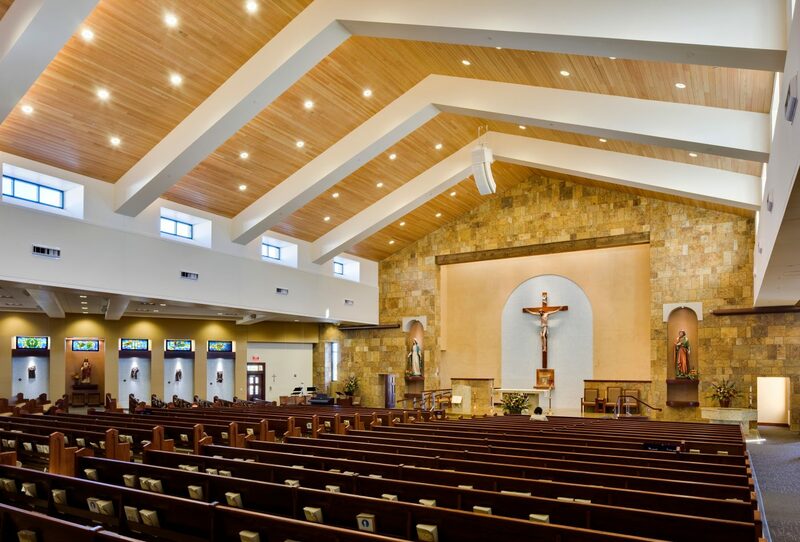 The design response was to create worship spaces that are warm and beautiful, allowing the congregation to practice their faith within inspirational surroundings. 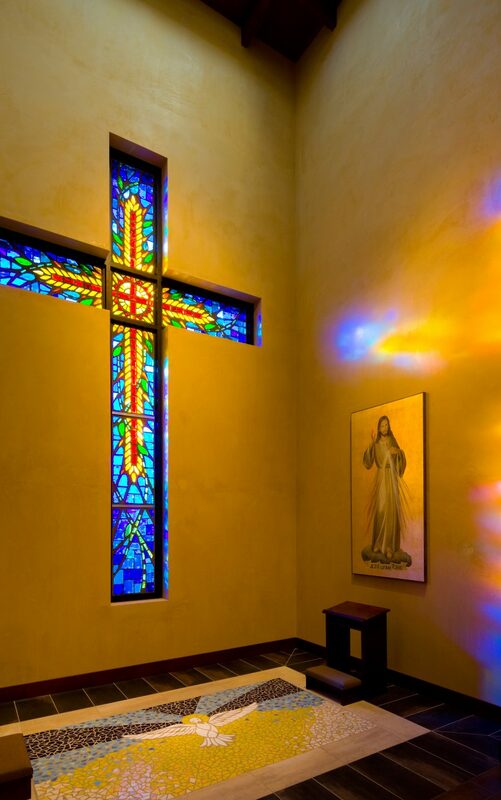 Custom designed lights and stained glass from the original church along with statues and Stations of the Cross bas-reliefs were carefully integrated into the design to connect the new to the old. Audio visual technologies are seamlessly incorporated into the church, giving the celebrant 21st Century tools. 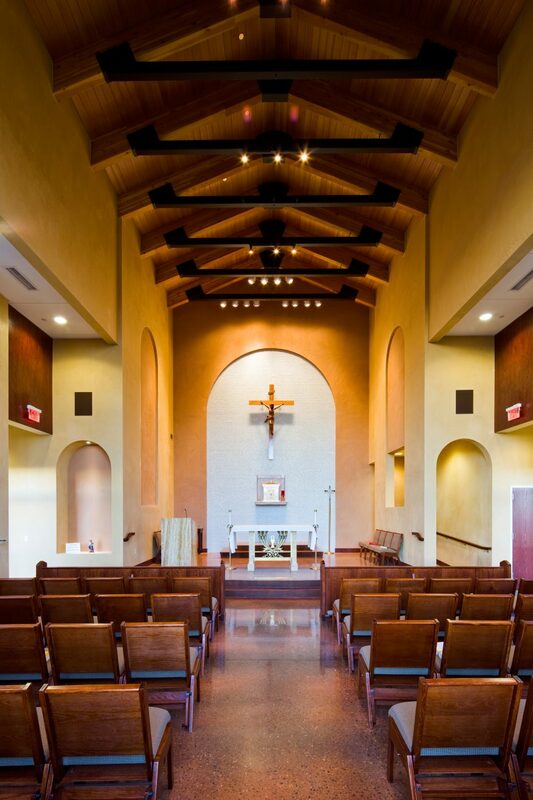 A light-filled chapel allows the parish to celebrate Mass, perform weddings or conduct funeral Masses in a small reflective space. The exterior spaces reinforce the church community functions. 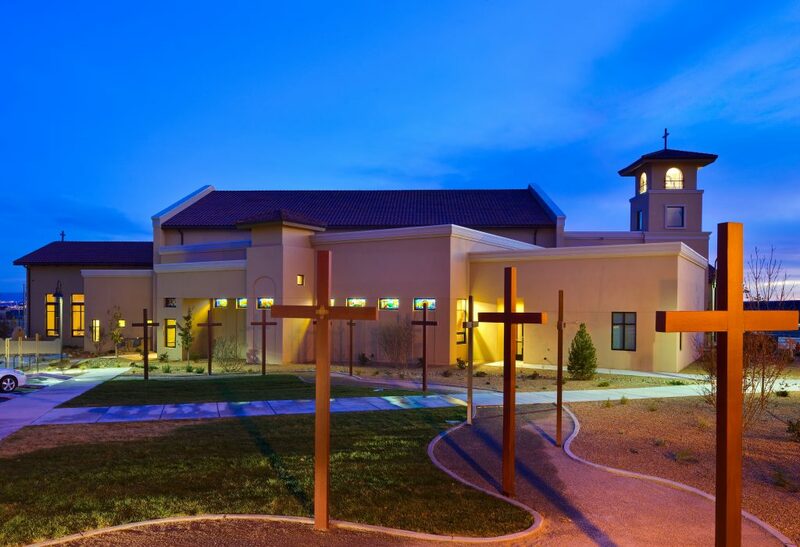 A wide plaza, courtyards for contemplation, gardens and landscaped walkways connect the new church to the rest of the Parish campus.